The following people and places all have an association with Brickfields Country Park, The Aldershot Brick and Tile Works or the land on which the works was built. If you have any information, pictures, documents or photographs that relate to our history or the list below then please let us know. Email with any details you have. Adam Clericus (Adam the Cleric) with Margaret of Overescumbe [Overescoumbe] held one virgate of land containing 29 acres (later to become Boxalls Farm). Alan Harding Rushmoor Borough Council [RBC] project officer for the park when it was built in 1983-5. Alverstoke The house in Cranmore Gardens that was built for Mr. Stroud of Kemp Stroud (was The Aldershot Brick and Tile Works). Alwin White [Wit] Mentioned under Kingsclere Hundred in the Domesday book - "Alwin' Wit [Alwin White] holds 2 hides. He himself held it before 1066. Then it answered for 2 hides; now for ½ hide. Land for 1½ ploughs. The plough is there, and 2 slaves. 1 villager and 1 smallholder with ½ plough. The value was 40s; now 30s. Alwin held this land before 1066 under Wigoto [Wigot] for protection; now he holds it under Milone [Miles], and it was delivered to Wigot by Humphrey Visdelupo [Visdeloup] in exchange for Bradeuuatre [Broadwater], as he himself states; but The Hundred knows nothing of it". Bill Cook of Rushmoor Borough Council provided the original proposal report. Boxall (or Eggar) Dug the clay pit in the 1850's to extract clay for brick making on site. Boxall family - Came into possession of the land in the middle l600s. ├ Elizabeth Boxall(1) - wife of Thomas Boxall(2), mother of Thomas Boxall(3) and Elizabeth Boxall(2). ├ Elizabeth Boxall(2) - brother of Thomas Boxall(3). ├ John Boxall - eldest son of Thomas Boxall(1), brother of Thomas Boxall(2). ├ Sarah Boxall - mother of Thomas Boxall(2) and John Boxall. Sarah did not pay her taxes and was taken to court in London in 1703. ├ Thomas Boxall(1) - son of William Boxall from whom he received land. ├ Thomas Boxall(2) - younger son of Thomas Boxall(1), brother of John Boxall. ├ Thomas Boxall(3) - son of Thomas Boxall(2), sister of Elizabeth Boxall(2). └ William Boxall - father of Thomas Boxall(1) to whom he passed land. Caywood Concrete Products Used part or all of the brickworks site making various concrete products, fence posts Etc. Chrismas family Sidney Chrismas J.P was Mayor of Rushmoor (1968/69), at one time owners of the land on which Chrismas Lodge was built. This land at one time was part of the Brick and Tile Works. Documents in the Chrismas Lodge file kept at the Hampshire County Council archive at Winchester show a document from around 1890 which lists a member of the Chrismas family as one of the owners at that time. Colin Balchin Mayor of Rushmoor (2004-5), opened the park on the 7th June 1985 during his first tenure as Mayor. Creswell family Who were part of the company Trevenen and Co. at the Aldershot Brick and Tile Works Company. ├ Henry William Creswell - husband of Rose. ├ Mina Antoinette Airlie Cresswell. 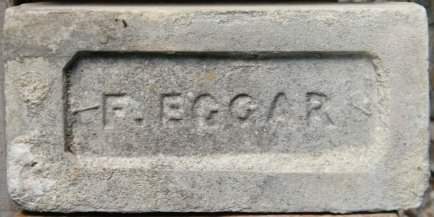 - around 1880 was in partnership with Frederick Eggar trading as Rose, Eggar, and Co., Manufacturers of Bricks, Tiles, and Pottery. The company was dissolved on 18th November 1882. └ Rose Cresswell - wife to Henry. About 1880 was in partnership with an N. P. Trevenen, trading as Trevenen and Co., Brick and Tile Merchants, declared bankrupt in 1884. David Medhurst Who lived in the area and used to have "war games" in Brickfields with the Army Cadets. Fred Eggar Listed as brick maker at "The Aldershot Brick and Tile Works" of Bank Street [Grosvenor Road]. Fredrick Eggar Possible owner? in partnership with Mina Cresswell. Gould Along with Keith Kemp, Gould took ownership from George Kemp, continued in business up to the mid-1920s. Harry Stonard Owner of the "The Aldershot Brick and Tile Works" in Grosvenor Road [Bank Street]. Humphrey Visdelou [Vis de lou] Mentioned under Kingsclere Hundred in the Domesday book. J. D. Wood Rushmoor Borough Council Chief Architect when the park was built. J. Alfred Eggar An estate agent of Castle Street Farnham who presided over the sale of the - "Lease, Goodwill, Plant & Machinery and 22 acres of Land of the Aldershot Brick and Tile Works" in 1881. James Clark Listed in the Hampshire Records Office as owner of the - "Aldershot Brick and Tile Works near Halimote Road off Bank Street from June 1882". John White, Knight (Sir John Whyte 1573? Hampshire Records Office) In the Crondall Customary of 1567 we find he holds - "divers lands and tenements, with appurtenances in Aldershot". Possible Lord Mayor of London in 1563? John Emlyn Davies of 1, Coronation Road, Aldershot, Brick and Tile, Works Manager, 03-07-1919 filed a UK patent #GB128805 "Improvements in Steel Keys for Railway Sleepers". Kemp family - Well known Farnham and Aldershot family of builders, surveyors and entrepreneurs. ├ George Kemp Established and owned the Brick and Tile Works, believed to have started in business in 1857. His red facing bricks were known as "Georgie Kemp's Reds" (photos), used for his own house, "The Croft" in Church Lane East and Mr. Stroud's house, "Alverstoke" in Cranmore Gardens. └ Keith Kemp Along with a Mr. Gould took ownership from George Kemp, continued in business up to the mid-1920s. Loveless Ran and possibly owned the concrete works after the brickworks finished. Margaret of Overescumbe [Overescoumbe] Held one virgate of land containing 29 acres (became Boxalls Farm). Miles (Crispin) Mentioned under Kingsclere Hundred in the Domesday book. Peggy Stroud of Kemp Stroud, Builders, Aldershot. Robert de la Forde Held one virgate of land containing 18 acres with Walter de la Dene, "they shall do all service as the said William de Lynham". Roy Masters Director of Kemp Stroud, Builders, Aldershot. Roy Sharpe Borough Engineer and Surveyor. The Croft The house George Kemp built for himself in Church Lane East. Tim Childerhouse Local historian of Aldershot and the surrounding areas. Waddleton & Company Fruit and Vegetable distributors, who we believe occupied the Aldershot Brick and Tile Works site after it closed. Walter de la Dene Held one virgate of land containing 18 acres with Robert de la Forde, "they shall do all service as the said William de Lynham". White family of Aldershot Living at The Lodge in Church Lane East. Wigot Mentioned under Kingsclere Hundred in the Domesday book. William Giffard The second Bishop of Winchester from 1100 to 1129, became Chancellor to Henry I and William II from 1093 to 1101. William de Lynham Holds one virgate of land containing 24 acres. He was "done all service" by Robert de la Forde and Walter de la Dene who hold one virgate of land containing 18 acres. A quarter of a hide. Used in Domesday [Doomsday] for tax purposes. 12 acres of land providing food for 7 people. Depending upon the quality of the land, but was between about 15 and 60 acres. The Virgate was also called the "Yardland" or "yard of land".